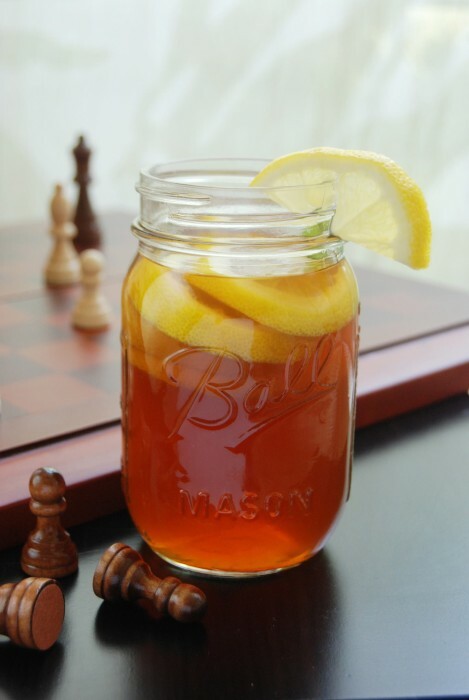 Celebrate National Iced Tea Day! As the heat of summer starts to take hold you can enjoy National Iced Tea Day on June 10th in style! There is a trick to making good Sweet Iced Tea. Boil the water and brew your favorite tea with just half the normal amount of water. “What? In this heat?” Yes, sorry but it’s the only way. Here’s the trick: Stir in enough sugar into the concentrated hot tea to suit you and stir. Every Southerner knows sugar doesn’t dissolve in cold tea. If you try it you get a pile of sugar at the bottom of your glass and every time you try to mix it up you get a snowglobe effect. It’s gotta be hot. After the sugar is dissolved then add enough cold water to make a full pot or pitcher. You could brew it with all hot water as you normally would but it will take longer to cool off so I do this half and half method of hot and cold. Fill your glass (or mason jar) with ice and pour in the tea. Now you’re ready for some sippin’! photo credit Sarah M. Bélanger.